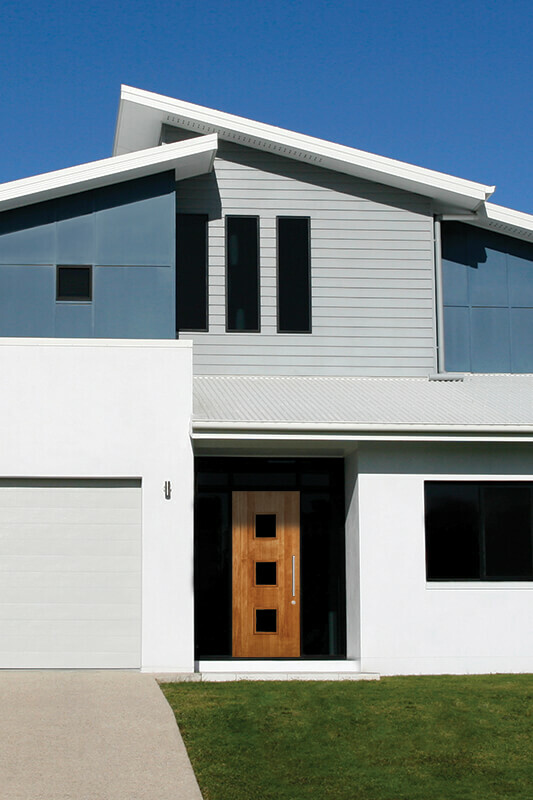 Contemporary design is a hot trend in today’s homes, whether for new construction or with remodeling. 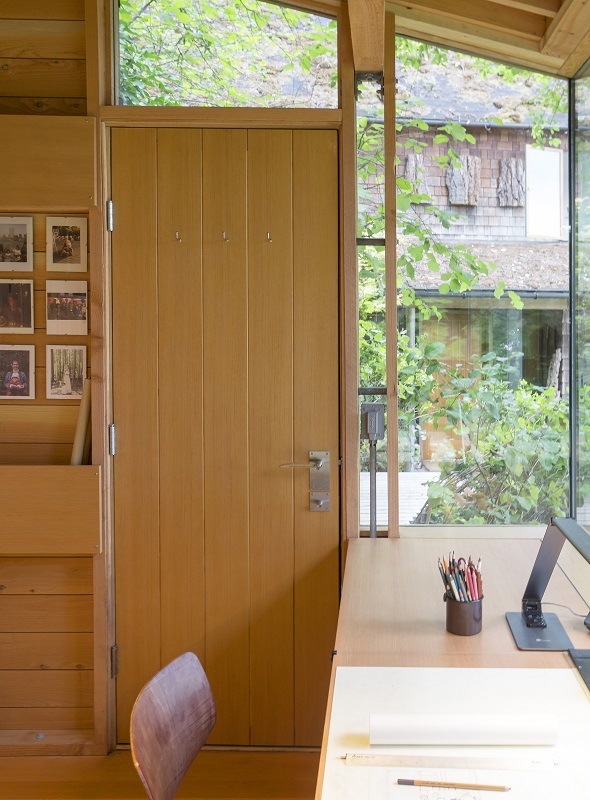 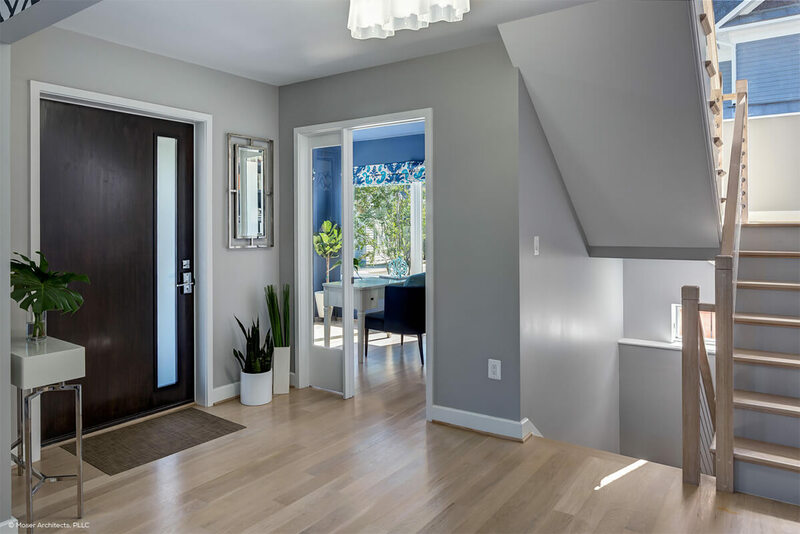 So what does that mean when it comes to door design? 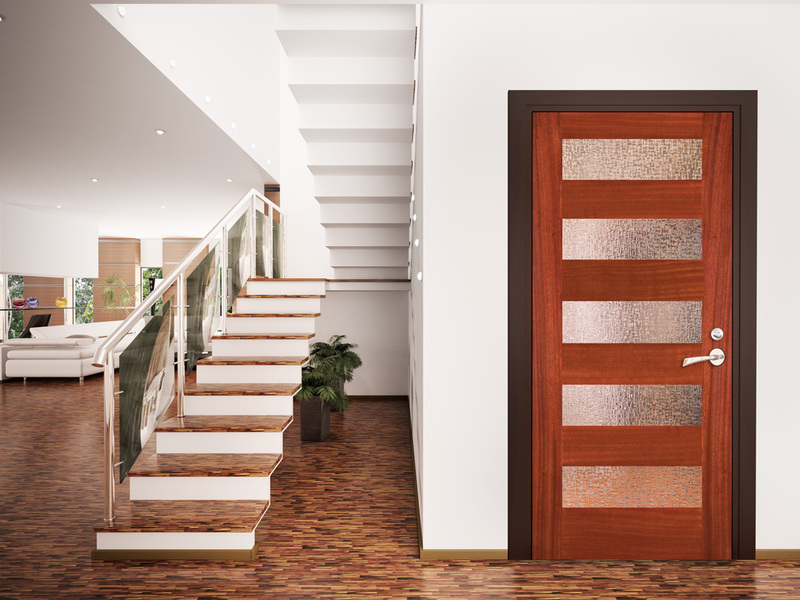 These doors are characterized by a flat surface over the entire door and can be personalized by including windows, combining wood species, adding grooves, changing up the direction of the wood grain. 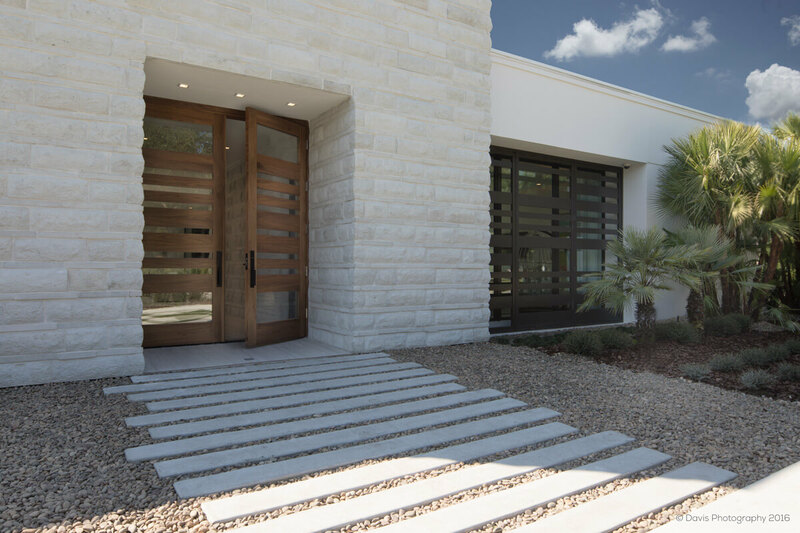 And all of these doors can be made with UltraBlock® and for the very toughest exposures, can be made with WaterBarrier® technology. 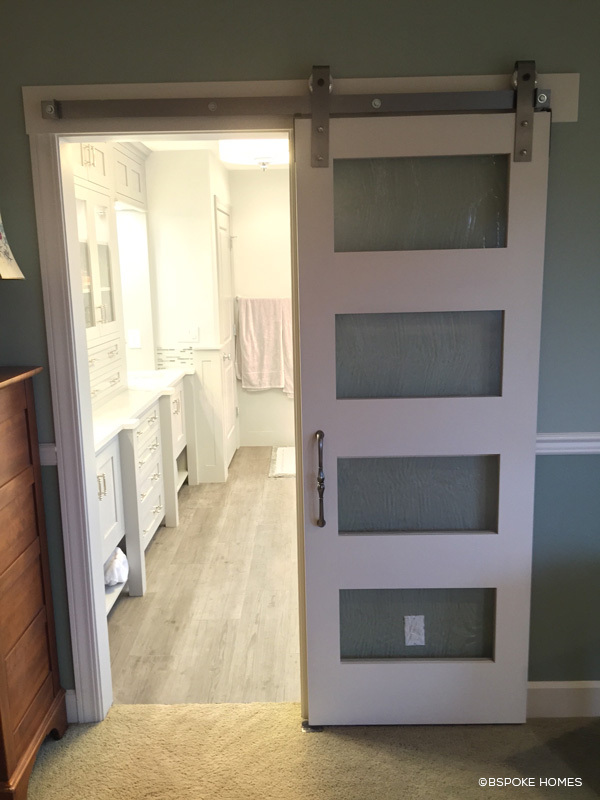 Want to see how you can personalize your very own flush door? 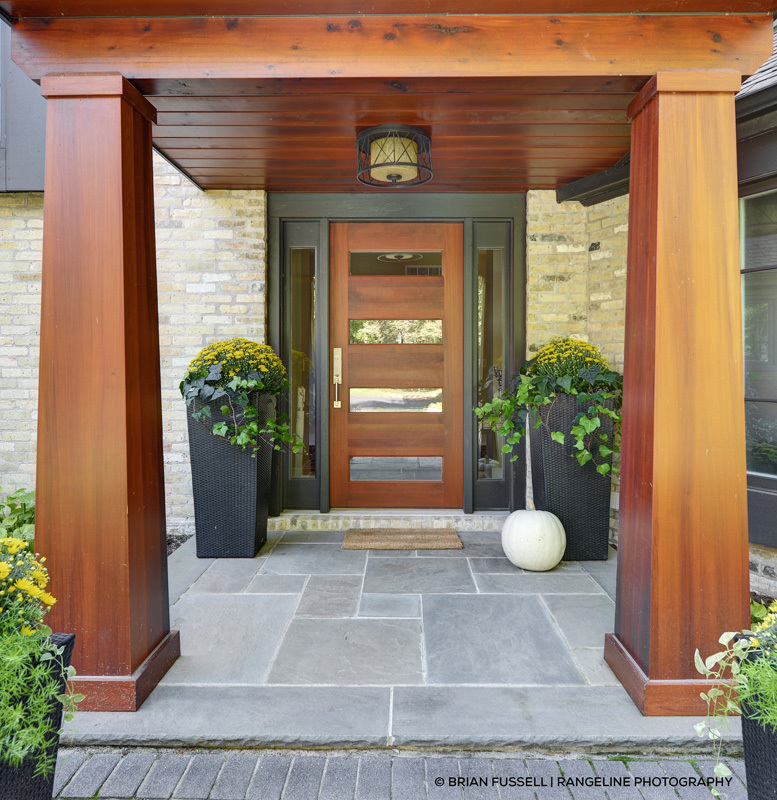 You can use our personalization tool here. 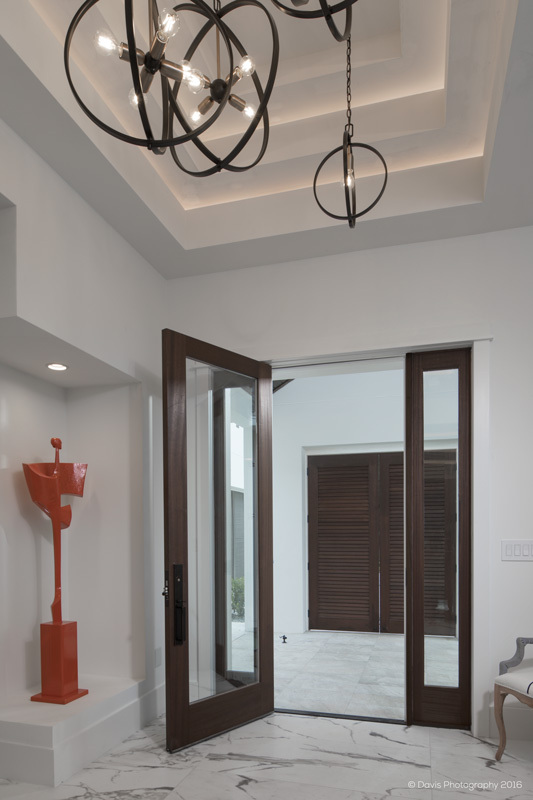 The long, clean lines of these doors create a dramatic effect. 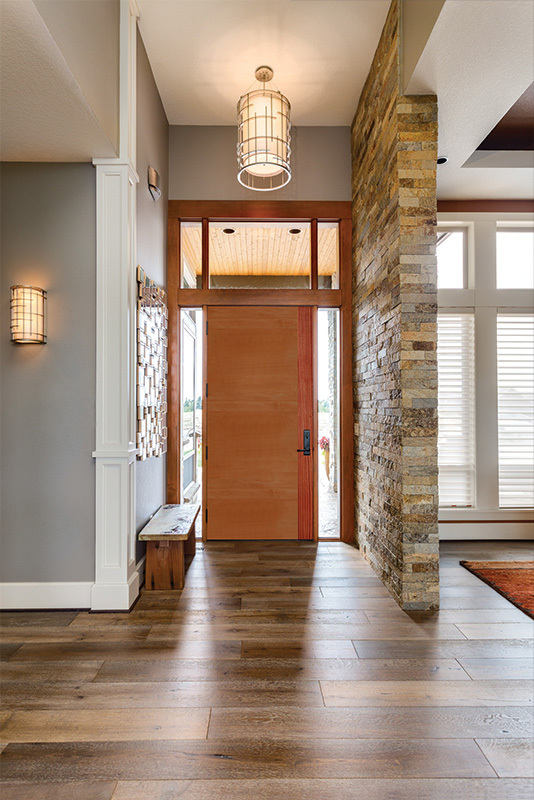 And with the ability to not only design your door with any number of glass lites but the ability to choose any glass texture, you can control the amount of light and privacy your door allows. 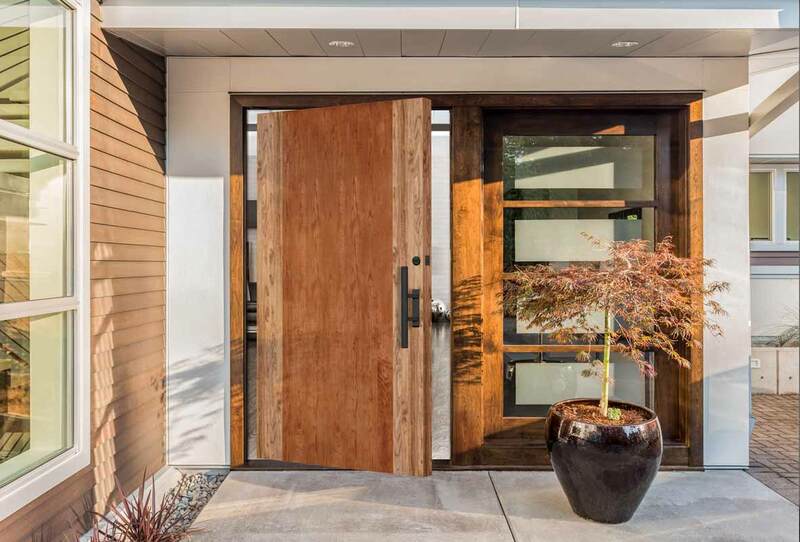 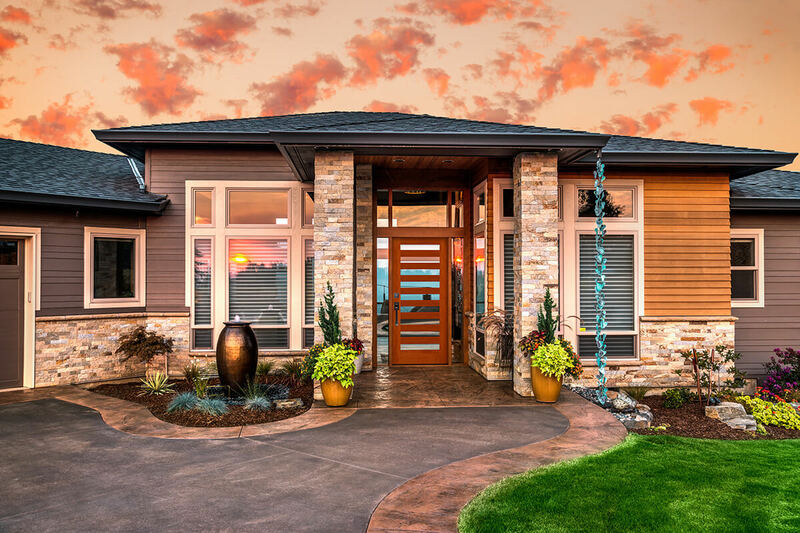 Better yet, for the exterior version of these doors, you can add both UltraBlock and WaterBarrier technology to help it stand up to the toughest of exposures. 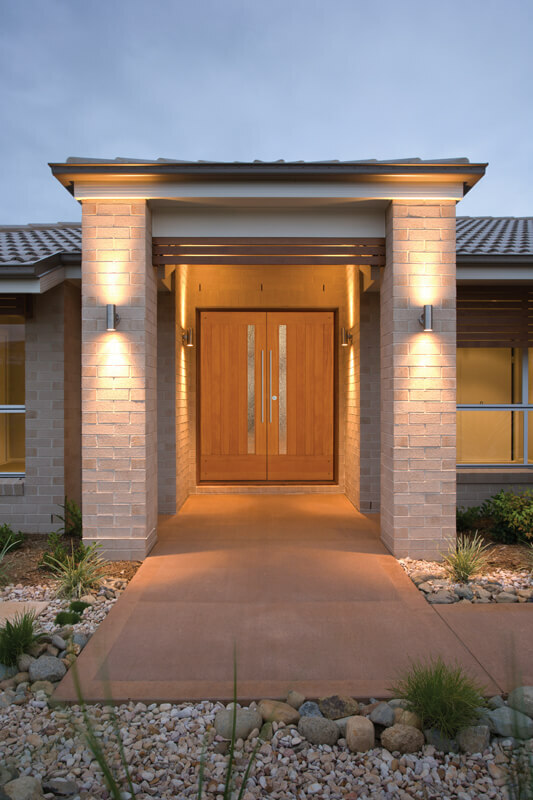 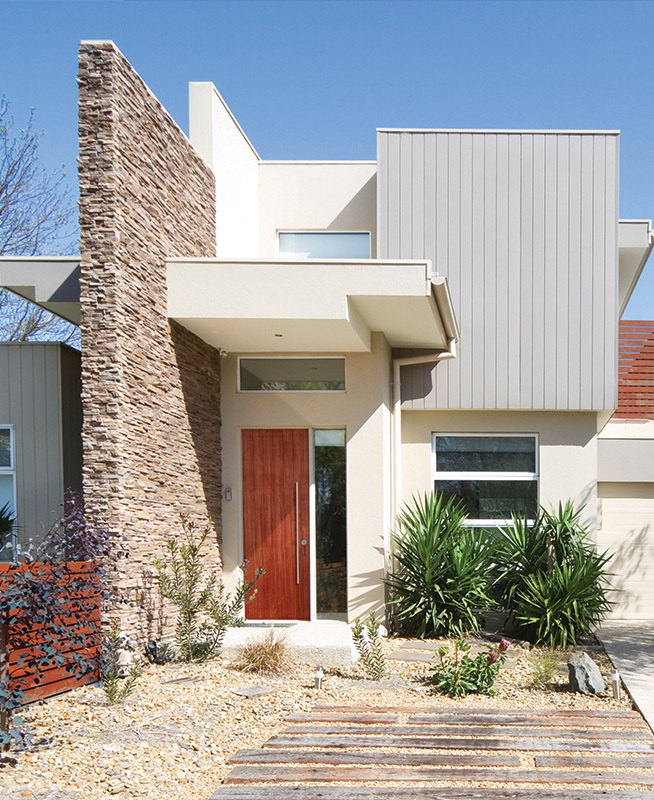 Contemporary style is often measured in its simplicity and so it goes with door design. 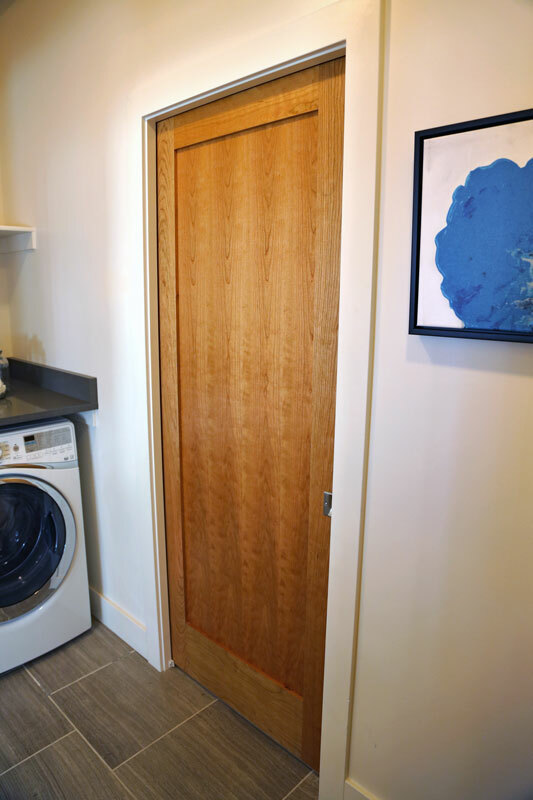 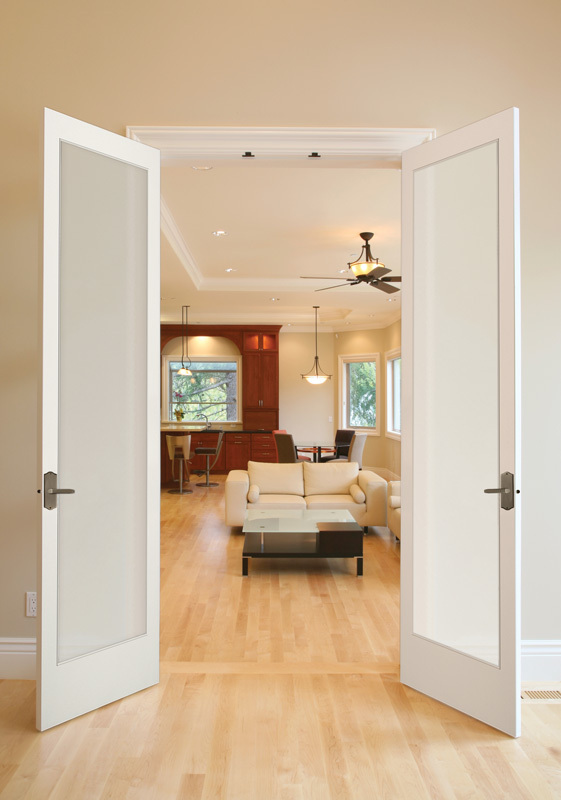 A popular interior door is a door with a single, large flat panel. 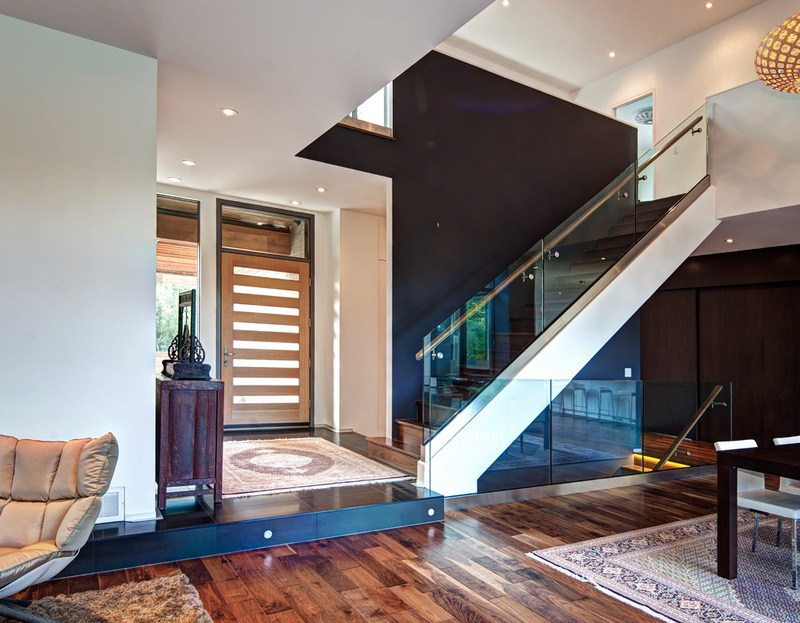 Another twist on this same look is a single glass unit. 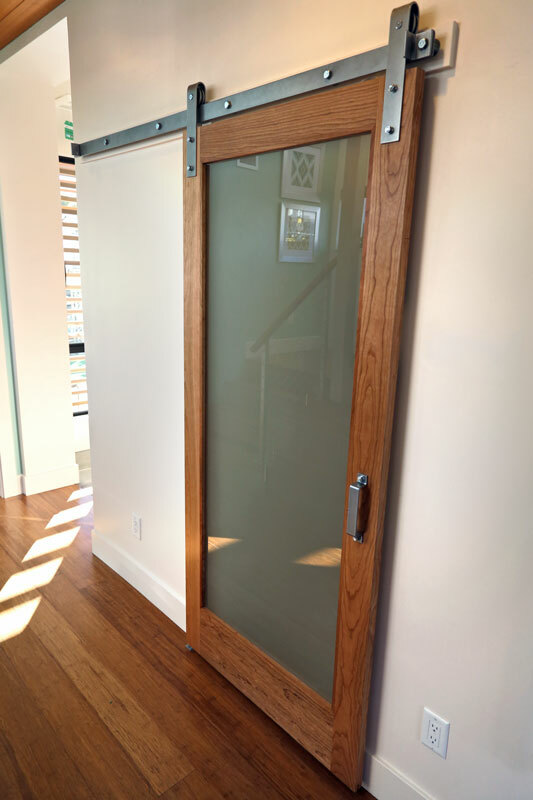 This glass unit is often combined with a texture like satin etch or white laminate to add privacy as well as let light through. 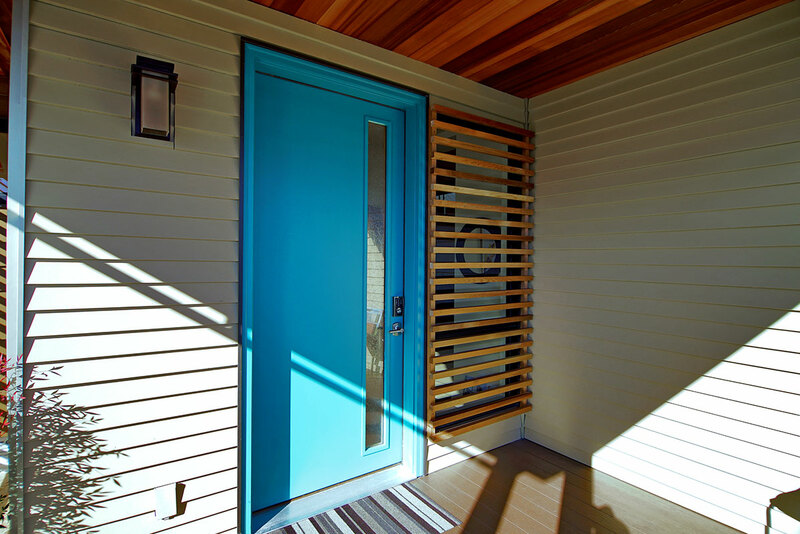 And no need to worry about this style door's performance against the elements, they are also available with both UltraBlock and WaterBarrier technologies.